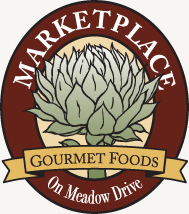 Marketplace on Meadow Drive is a new market located in One Willow Bridge Road in the heart of Vail Village. Developed by Daedalus Real Estate Advisors, Marketplace on Meadow Drive features the Bistro, Café and Crêperie, and the best food from around the world, the finest wines and liquors and exceptional personal service. Whether you’re looking for a great meal, just picking up some groceries, or planning an impromptu party, you’ll find everything you need under one roof at Marketplace on Meadow Drive. For more information, please call 970.477.4370 or visit marketplaceonmeadowdrive.com.